Twitter was created by Jack Dorsey, a software architect, in March 2006 and launched just a few months later. It was founded by Obvious in San Francisco, California. Twitter became successful and broke off from Obvious in May 2007. At this time Twitter became known as Twitter Inc.
From there, the social network/ blog continued to increase in popularity. As of 2011, there are over 200 million tweets being generated by users each day. Over 200 Million of Twitter users can be found worldwide. Twitter attracts organizations and individuals alike. The average age of Twitterers is between 25 years old and 54 years old. For more information about the statics about the graphs go to http://www.nevillehobson.com/2009/04/08/twitters-explosive-worldwide-growth/. Twitter is not complicated technology, despite the many options that it presents to the user. All of the contact updates for twitter are on the right side. All messages from friends/acquaintances will be found in the middle. This happens once a user has been on there long enough to collect them. Finding people onTwitter isn't as easy. To do this, a user will have to go on the twitter page and invite friends via email. Updates, or "Tweets," allow someone to see what the other is doing. A downloadable client is also available, called Twitteriffic on Mac or Twitteroo on PC. They can run on Vista desktop in order for up to the minute tweet updates. 4 One can also download a Twitter application on to their smartphone. This way they can stay connected at any time or place. A view of what to expect when searching for friends, companies, or organizations. When first arriving at www.twitter.com, this page will come up. When a user accesses this page, they must simply add in their login information.8 Once the user logs into the system on a page that resembles figure one. There is a wide variety of people you can follow: celebrities, friends, news companies like CNN, politicians, or any other events/organizations. Twitter allows politicians to increase their public relations by connecting with more people. People can now follow the politicians and always stay connected with them. For the 2012 Presidential election, Twitter will begin to sell political advertising to the candidates. You can follow the Human Society @HumaneSociety. Twitter allows you to personalize your profile by: adding a background image, adding a profile picture, and updating your biographical information. Twitter added a text messaging feature along with their website. This makes it easier to send and receive tweets from followers. Other Twitterers add news organizations to their twitter feed. If they add this organization to their cell phone they are able to get up to date news via their cell phone in short 140 character text messages.^3^There is a character limit on all tweets. Tweets and blogs inside twitter allow people in the work world the capability to connect to one another across the world. Colleagues may live across town or across the world and will be able to collaborate on a group project or share ideas about a specific project. Twitter can help colleagues begin to know each other on a personal level and help them become better acquainted. This may increase their ability to work together in the future.3 It can also help each other remind their colleagues an example is if there is a meeting and it has been changed. http://www.youtube.com/watch?v=JXPmI4YaOpM Link for helpful video. Similar applications can be found in Korea, such as Play2me. Twitter has been a valuable tool for the field of education. It can continue to do so as technology grows and people become more familiar with the application. This technology allows the student's learning to be enhanced in a number of ways. Because of the uses listed above, Twitter is best used outside of a strictly Twitter-based "lesson plan" context. It can, however, be incorporated into many lesson plans. Also, Twitter is not censored or supervised, as anyone can establish an account with which they can write anything, so it is best to use caution when having Elementary students use it. A great source of ideas can be found at : <http://docs.google.com/present/view?id=dhn2vcv5_118cfb8msf8>. Tweets: Small 140 letter updates that answer "what are you doing"
Daily Twitamin: A tweet that contains useful knowledge that is easy to take in and remember. adding apps and having a fancy profile. event which I think is very fitting." are doing? Ridiculous, maybe. Genius, yes." method of online communication I've ever used." My name is Kim Eun-Kyung. I'm from Korea and My major is Education Technology. I hope that this project will be successful. I don't know about twitter. So I'm searching infomation about it. It's kind of mini blog, right? Hello Eung - Kyung! Welcome! We are excited to have you on the team. I am reading that it is a blog/messenger/everything - I signed up on twitter but still am confused as to how it works or what is going on. Maybe as a team we can all sign up and send one another messages and see how this crazy website works? I signed up under my rjprocto@purdue.edu address. Look me up! Remember guys to post any and all of your research on the research page. On Tuesday I plan to condense and sort what will and will not be used and send half to Kirstin to be written and the other half to myself to be written. If it's not researched and posted by Tuesday by 5pm (Eastern Standard Time) it will not be included. First, I'm very glad to see you! My name is Hye-won Kim, and I'm tewnty years old. Also, I'm a freshman in Ewha Womans University, Korea. I found from web searching that twitter can be called 'mini-blog' and it offers mobile service. Am I right? Hello and welcome to the page Hye - won. I've grasped something like that as well. Thanks for adding to the research page! Can anyone there in Korea also let us know how the website is used there? My major is Education Technology and I'm a freshman in Ewha Womans University. I make a effort to know about the twitter. Nice to meet all of you! I am the TA of the lab Sensen. I am from China and I enjoy working with my students They are hard-working students with great personality! Feel free to post here and explore the topic "twitter"
Welcome Sang-a Park. I'm so glad that you're on the team and you found the page! I went to the DLC today (the undergrad basement's basement) to reserve a computer. I was told that I can only reserve one, so I need someone else to please come down her and reserve a laptop for the day of our presentation: Thursday Dec 4th. It would be nice to reserve it for a three day period, if at all possible. Perhaps someone could reserve it for Wednesday the 3rd and we could get together that night to just do a trial run of our presentation? Then the computer could be returned on Fri Dec 5th. I have not yet reserved one: I didn't have my student ID on me - so make sure you have one of those with you when you go to reserve one I'll be back tomorrow to reserve the first one. Please let us know when you have reserved a computer. It's better that we OVER reserve - rather than under reserve -- if two of you come down and reserve (or all three) then we can cancel those reservations (in a timely manner so as not to be computer reserver hogs) moreso than scramble at the last minute to try to find one avaliable at the time. I think that a lot of groups may be contemplating this idea and wanting to reserve a laptop - so we should really make sure that we get down there and do it in a timely manner - so that we know that one is avaliable. Thanks guys! Thank you very much for the work you did for the team, Rachel! I am in the morning "team leaders meeting" now. For each small presentation in the final show showcase, it only takes 2 or 3 minutes. So when you guys prepare the presentation, you don't need to prepare too much, just think of how to hold someone's attention for 2-3 minutes. Let me know if anything I can do for you guys. I spoke with Kevin O'Shea today - he recommended we look at youtube videos and get familiar with the twitter software --- so please everyone create a twitter account and check for videos on youtube. Hi everyone! I am excited to be able to work with everyone here and I can't wait to see what the final product is going to be! This one refers to its uses in a professional setting. They use a library in this case, but it gives a lot of examples that are still relevant outside of that. There is quite a bit of repitition in the facts I am finding while going through websites. I'll keep searching, but this is the best I have so far. Hope it helps out. Let me know if there is anything else I can do. Hello everyone~nice to meet you guys. I'm freshman of Ewha women's university.My major is Educational Technology. "International students, please please let us know how twitter works in Korea. Is it accessible? Do people use it? I know that someone mentioned another website that is similiar and avliable in Korea and that is excellent information. If any of you could give us any more information that would be awesome. All the international information we can get together as a group will be beneficial." In Korea, although twitter is accessible, few people know about twitter. But some people use Korean version twitters. www.playtalk.net and www.me2day.net . Twitter is unfamiliar to common internet users. But, few people in Korea used it, I think. Twitter offers mobile-service including posting, writing, adding some opinion etc. This can be done through Korean website Cyworld, and Mixi which is popular in Japan. And, I think twitter and cyworld's similar bad point. To make twitter meaningful for A, a person related to A has to be someone who does twitter activities. However, twitter becomes meaningless for A if the person related to A shows no interest for twitter. It is ok we understand what you are saying. We appreciate the feedback. In America, I have never heard of twitter, but I may be out of the loop. thanks a lot Hye-won! twitter is simillar to korea's Playtalk .. It can be said that this is something that simple text message can be linked up with the web. The entertaining function will let you know what your friends and acquaintances are doing on real time. I think each team member has been assigned some task this week by the team leader, right? Am I supposed to see more work done here? Please try to finish the work on time by the deadline you guys determined. If you need extra help, please let me know. Thank you! I got onto twitter and sent everyone an invite - so that we can all get on there and experiment with this technology. Please add the entire team so that we can converse on there as well – and learn while we are at it. Thanks guys! I am happy to see that you are excited about working on the project. Unfortunately information about playtalk and me2day will not be beneficial because they are not the applications that have been assigned to us. As for the deadlines, I sent out an email with deadlines last week. It's alright - we have enough information. I am simply filtering through all of the information right now. Once I finish that up this weekend, I will have half of the wiki chapter completed and the other half is going to be sent to a team member here to complete. I sent out another email to everyone today talking bout what we did in class today and what we decided to do. I included some information specifically to the international students - to see if it was posible if you could do certain tasks once the wiki chapter is written. Thanks for getting onto confluence and thanks for all your work We appreciate you guys very much and want you to fee like a valuable part of our team! Ok guys - all of the research is now organized into neat little pages with generalized outlines of what needs to be written. This gives all of us a general idea of what is going to be written. The deadline for this is Wednesday. I organized the pages in such a way that I wrote Completed in Green pages that are ready to go and be edited. Please look over the green pages Nick and Adam. Pages in red dictate who should be writing these pages. Please, once you finish writing your page, change the status line to green like mine so that they can be edited. Once you edit a page - please leave a comment showing that you did so. Once both editors have run through the page, the status will be removed. Thank you very much, Rachel! hi everyone sorry its taken me so long to get rolling on this, I working on the lesson plan as we speak and am ready to edit anything that is needed my only question is are we adding more to our chapter, do we need more information? and I believe after reading over all of the chapter is seems to be pretty well in place. Great to see you on here Adam! It appears that all pages have gone green (aside from Adam's lesson plan) - so we are ready to edit and design GREAT WORK TEAM!! Let's keep it up! in the meeting tonight doctor newby told us not to start work on our visual aid -- OR any web design. I will send more information tomorrow (around 7am) about what we should be doing. the chapter looks great i believe that all of our editing is finished. we're very sorry because of late response. we're trying to design web page but you've changed web page. Is this the final webpage? can we add some extra information? I spoke with my teacher, because I wanted to include you but had not sure how to do so, since our deadlines have passed. I was under the impression that we had to have our entire chapter done this past week. She said that we can make an exception for the international partners in this area. We have finished up what we thought was a complete page. However, if you could add a page about how twitter is used in asia - and how it relates to life there - that would be nice. We would, as always, still love to see you at the showcase - so that we can use twitter with you in korea while we are showing the project to people here for our final project. This would be a valuable contribution and would show how twitter can be used in an international way. So it seems that many young Japanese use it. We want to research about that. Could we add a child page and post our research? Sorry that we didn't know that due date was last week. Rachel, I just found a way to hyperlink the superscript to the references (Like what group 5 did). I will let you know in lab on Friday, or if you are available Wed. afternoon or Thu. afternoon, you can come to 3288. I will show you. It needs to play with the codes. Any extra information that is provided by our international partners needs to be posted by Friday at the lastest, please. We're very sorry, and make all our effort to make it. 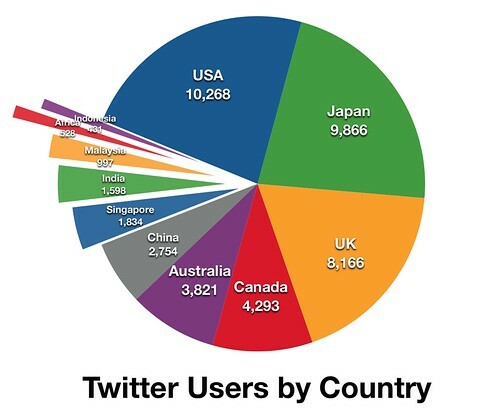 We found data that needed to post the page about how twitter is used in asia, and there is English composition left. It's alright. Just post it to your child page and then once you are done -- let me know. I will assume you are done by Friday night if I don't hear back. On Saturday morning I will add anything that you have contributed to the final page here that I am working on. Wow guys thats great information!!! Are you still working on it or is it all done? It's almost done. because articles about twitter Japan are almost same and short. But if we find more information, we'll add it and let you know. Can someone who worked on the page about twitter in Japan please leave their references for that information?? I have added the page for team member credit - please check to make sure your credits and names are spelled correctly. International Partners: I have made a banner across the page that link our colleges together. Is this your correct logo? First one is written in Korean. Two of them are official, so you can choose one. Would you like me to change the one that I used then? Twitter seems very easy to use after becoming acquainted with it. I have come up with a few ways that teachers and students could use Twitter. The site could be used as a homework help network to connect students, parents, and teachers, and reminders about homework, class trips, or materials needed for class could be posted. Students could also connect with group members through Twitter if a collaborative project is assigned. Twitter puts a 140 character limit on posts. While this may be adequate in some circumstances, I believe that it would be very difficult to communicate effectively within this limit in most cases. Also, as for the communication between teachers, students, and parents, Twitter will only be beneficial if all three groups check their site on an extremely regular basis. I would give Twitter 3/5 stars, because it has some educational value, but there are better options out there. Twitter is a very useful app depending on the situation. I wouldn’t exactly find it necessary in a school related setting, but in order to get important information out more quickly it is very useful. Straightening everything on the sire out might make it a bit more presentable. Twitter is a good idea in the sense that you can share important information. It can be detrimental to certain businesses to get information out there. It is also a great means of communication and collaboration. The whole page seems a bit compressed to me though, maybe giving things some space will make it look a bit cleaner and more presentable that way future readers can have an easier time viewing the information on the page. The teachers section of the twitter wiki is interesting. I do not believe that enough information is given regarding the actual uses of twitter in education. I felt that the examples given were very vague and left me with a lot of questions. Many general ideas were given, but uses or steps to meet these ideas were missing. Even the specific examples listed seemed to be a stretch. I did not see, from reading this article, how twitter could be an asset to a lesson. Also, I feel like more information could have been added as to how to use twitter. I, myself, have a twitter, and I noticed that the “how to use twitter” section was very basic.